Retired farmer, sportsman, wildfowler and nature lover, Walter Carter, of Primrose Hall, Three Holes, described on Anglia TV as "one of the last Fen Tigers," died peacefully at the Queen Elizabeth Hospital, Kings Lynn, on 7th January 2007, aged 80. A packed congregation attended his funeral service at Welney St. Mary's Church on Saturday 20th Jan 2007, and later a celebration of his life was held at Croft Country Club, followed by private cremation at Mintlyn Crematorium, Kings Lynn. Born in a cottage near the Church in Main Street Welney, he was one of the few remaining authorities, stretching from boyhood days, on the folklore and wildlife of Welney Washes. In 2005 he was featured on Anglia TV's County Days programme, talking to presenter Paul Heiney about his lifetime of wildfowling there. He attended Welney Primary School and was one of the first pupils in 1939 at the new Upwell Secondary School. He left a year later, aged 14, to work-at Bedford’s Farm, Welney. Called up for Army service in 1944, he volunteered for the Parachute Regiment and served in Palestine until 1946, when he returned home to work at Clayton’s Farm. That year he met Kathleen Bellamy, of Primrose Hall, at a Valentine's dance in Christchurch. He eventually went to work on her father's farm. Walter and Kathleen, who survives him, married in 1951 and daughter Jane was born two years later. During two spells away while Walter gained experience as a farm foreman, their first son Paul was born at Penn, Bucks, in 1955 and Steven followed two years later in Buntingford, Herts. The Carter family returned in 1958 to Primrose Hall, which Walter farmed jointly with his father-in-law, who retired in 1961 leaving Walter and Kathleen in sole charge. Walter's prowess in a wide range of sports became legendary in the Fenland area. 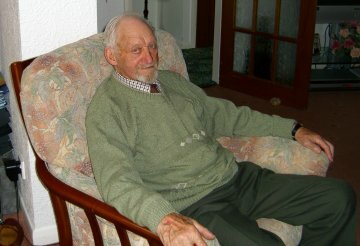 He played cricket for Christchurch and football for Welney, won many cycling trophies with Wisbech Wheelers, was an accomplished athlete specialising in long distance races, was runner-up in the All-England speed skating championships at Welney and regularly played indoor and outdoor bowls at Christchurch. His other great sporting interest was clay pigeon shooting. He set up shooting grounds at Primrose Hall in 1973, holding frequent events including heats and finals for both the Cambs and Norfolk county championships. He qualified to become a senior coach with the Clay Pigeon Shooting Association. Retiring from farming in 1990, Walter and Kathleen used the land they retained to set up Croft Country Club, a caravan, chalet and leisure park with a huge range of amenities. Walter was also a skilled woodworker, raising many hundreds of pounds for local charities with his creations. He loved tapestry and knitting, had a fine tenor singing voice and enjoyed reciting from a large repertoire of poetry. Page created Jan 2007 based on reports on Cambs 24 and Fenland Citizen websites; Photo from Croft Country Club Website.